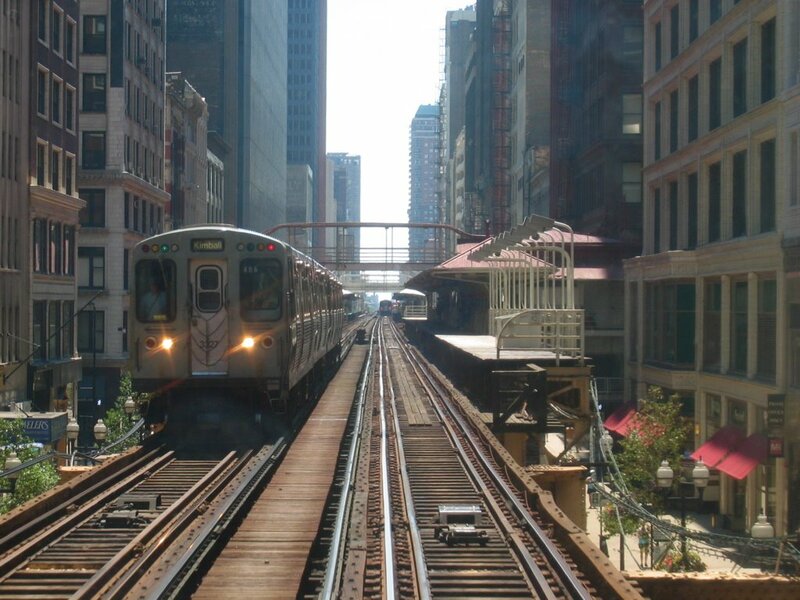 The sweeping changes underway at the CTA are fueling water-cooler conversation for working stiffs and sustainable-transportation experts alike. The latter category includes Maria Choca Urban, one of our colleagues at the Center for Neighborhood Technology (I-GO‘s parent org, an urban-sustainability-focused “think and do tank”), who, on Monday’s Eight Forty-Eight program on Chicago Public Radio (WBEZ), gave an insightful assessment of the CTA that comes from firsthand experience. Maria was formerly General Manager for Policy and Strategic Solutions at CTA, and now serves as Program Manager for Transportation and Community Development at CNT. Listen to the streaming audio file here. RedEye‘s “Going Public” columnist Kyra Kyles was the other guest commentator on the show, and both women offered a balanced, informed POV on the the agency many Chicagoans have had a love-hate relationship with for decades. Of course, Daley’s favorite young-gun troubleshooter—ascendent, studly Everyman Ron Huberman, who’s apparently on track to head every major city agency before declaring himself a senatorial or gubernatorial candidate (not too far-fetched, right? )—was the main topic. Maria offered praise for Huberman’s efforts in his too-brief stint at CTA, including better accountability standards in the massive bureaucracy (did you know CTA has 11,000 employees?! and that’s after a recent layoff), making better use of collected data, and the CTA’s oft-beleaguered customer relations. But she and Kyles both agreed that the new Chicago Public Schools chief (hey, he’s an ex-cop and transit guy—maybe he can get the kids to class on time and bust more troublemakers) wasn’t in charge long enough to see his initiatives truly evolve and pay off. When a listener called in to ask why Chicago can’t have city agency bosses with experience specific to the orgs they head, Maria said that she and her fellow transit-minded think-tankers at CNT would definitely like to see a experienced transportation professional take the reins at CTA. Is Dorval Carter, the interim prez, the right dude for the gig? Carter’s a lawyer who moved up from Executive Vice President for Operations Support, and he’s been responsible for directing the planning and operations functions for multiple departments including Human Resources, Purchasing, Public Affairs, Government and Community Relations and Finance. Prior to joining the CTA in 2000, Carter spent 10 years at the Federal Transit Administration where he was Assistant Chief Counsel for Legislation and Regulation and managed the office responsible for preparing and directing the federal legislative and regulatory agenda for the FTA. I just ripped that info straight from the CTA press release. Trying to remain objective here. Because we here at I-GO have high hopes for the CTA’s ongoing transformation. We just partnered with CTA to create a brand-new joint smart card—the Chicago Card Plus/I-GO Card—that gives you access to trains, buses and I-GO’s citywide fleet of car-sharing vehicles. The idea is to make public transit more expansive and green. We’re fans of any form of sustainable transit that decreases congestion on the roads and CO2 in our skies. Any opinions out there on how the CTA and I-GO might further perpetuate this agenda? We’d love to hear from you. Just click on the Comments link below and give us your two cents. This entry was posted on February 4, 2009 at 4:21 pm and is filed under blog, car sharing, city of chicago, cnt, CTA, Dorval Carter, i-go car sharing, public transit, Ron Huberman. You can follow any responses to this entry through the RSS 2.0 feed. You can leave a response, or trackback from your own site.